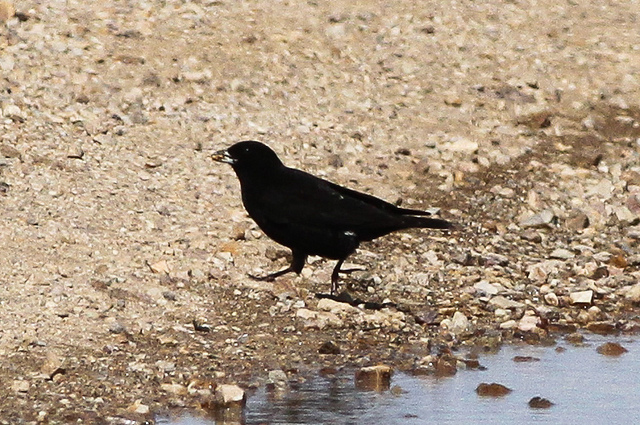 The Black Lark is a striking lark, because it is completely black. It breeds in Central Asia on open plains, preferably in the vicinity of water. The female is not black, but grayish.